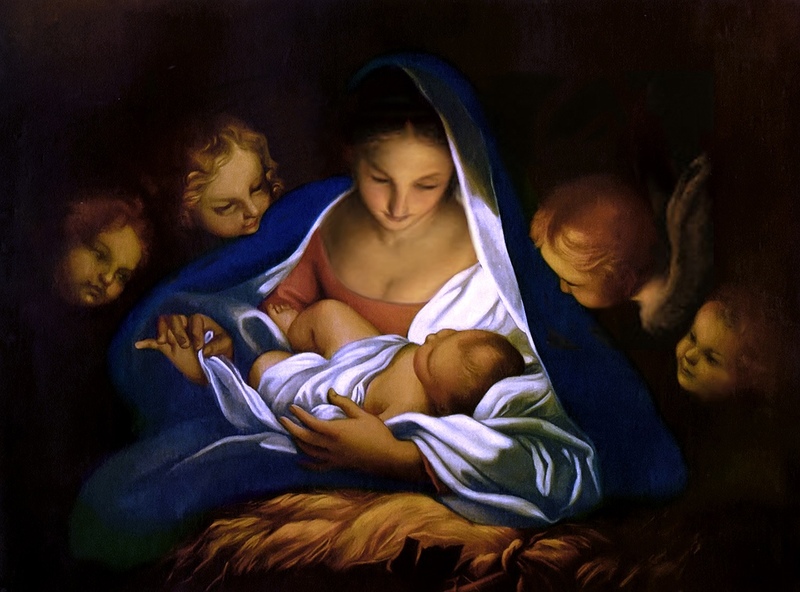 He was created of a mother whom He created. He was carried by hands that He formed. He cried in the manger in wordless infancy, He the Word, without whom all human eloquence is mute. It turns the mind inside out–created within His creation, hugged within an earthly embrace, by way of heaven, fed from human breast while becoming food for the heart, bathed while cleansing the bather. In the beginning the Word breathed and articulated life, knowing its utterance would someday come from lips and tongue and throat, whether as an infant’s cry, a toddler’s chuckle, a child’s secret or an adult’s stricken sorrow.